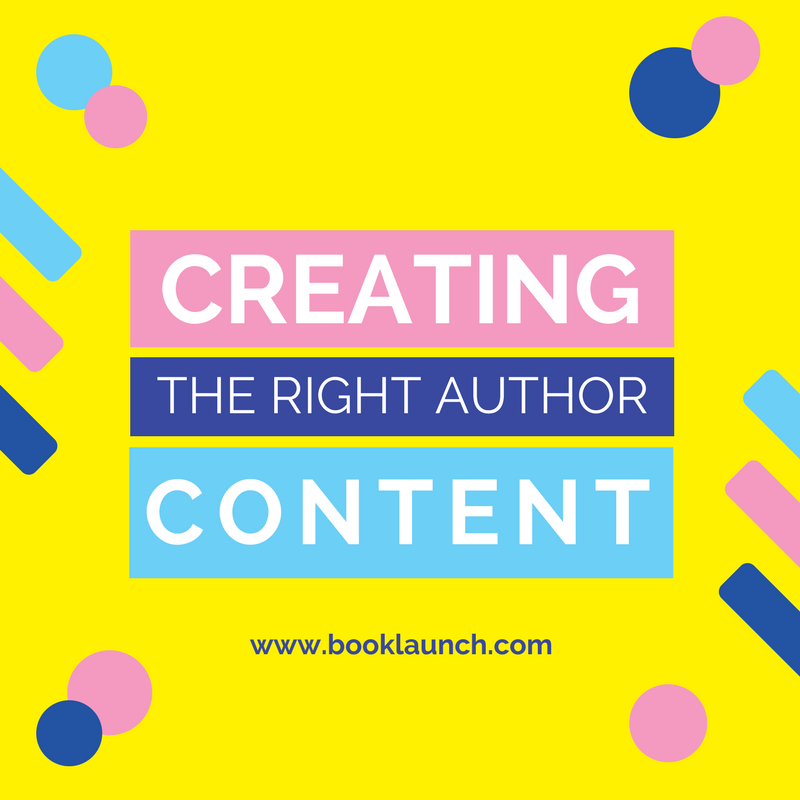 In my Book Marketing 101 article, I introduced you to the Connection System and how you use Outreach, Content, and Permission to build an author platform. In this article, I want to dive into the Content portion of the system and help you decide the right ways to create Content and the types of things you need to consider. Too often authors immediately start asking questions like, “Should I start a blog?” or “Should I put my book up for free?”, but those are the wrong places to start. How are they currently consuming content? What content do you feel comfortable creating? What channel are you going to use to distribute your content? I’ve seen it so much… an author works hard to build an audience that is different from the types of books they write. The biggest trap I see authors fall into is publishing content about writing and publishing. The problem is, if it works, you’ll build a fan base on a subject that is not your books! If you write science fiction, a big fan base of writers won’t really help you that much. You need to focus on attracting an audience that would be interested in reading your books. If you write science fiction, you need an audience of people that like science fiction. If you write books on productivity, you need an audience of people that are trying to be more productive. If you could wave your magic wand and have easy and direct access to an audience that is perfect for your book, who would they be? 2. How are they currently consuming content? Those people from question #1, what are they already doing? Are they watching videos? Reading blogs? Active on Reddit? Listening to podcasts? And where are they doing this? Who do they subscribe to on YouTube? Who do they go to for book reviews? What podcasts do they subscribe to? Create a full persona for each of the types of people you came up with in the first question. Don’t think specifically about books here. Think broader. If you write romance novels, what kinds of movies and TV shows does your audience watch? Are there specific blogs they might subscribe to? Where do *you* go for this information? I’m assuming you read books in the genre that you’re writing, so what else do you consume in your space? Where do you consume it? Ask other people. Text your friends that you share good books with and ask them what else they consume in this area and where they get book recommendations. Get on Facebook and message your friends. Get on GoodReads discussion boards and ask these questions. These first two questions are designed to help you come up with Personas for your platform. Who are the types of people that would be a great fit for your books and what kind of content do they already consume? 3. What content do you feel comfortable creating? What could you create that your audience might also like to consume? Book reviews? Funny videos? Movie reviews? What unique perspective could you bring to an aspect of your genre that your potential audience might be interested in? An author I spoke to recently who was writing science fiction and fantasy met a college professor that was a huge science fiction and fantasy nerd and loved talking about the science behind the technology and magic in the various books he was reading. They’re planning on starting a podcast. I would definitely listen to that podcast. Keep in mind that these are all tools in a toolbox. YouTube, blogs, GoodReads giveaways, podcasts, etc. are all just tools. And just like tools, they are really good for some things, but really not good for others. If I need to put a nail into a board, and I try to use a screwdriver — I’ll mostly just be frustrated. What I need is a hammer to get the job done. The same goes for the modalities of the Content you’re going to create. There isn’t one perfect solution for anyone. I’m going to go through a few of the popular modalities and show you my pros and cons for each. Video is a great way to engage your audience and allow them to “get to know you” in a way that can not be accomplished with the written word. Video is also only growing in popularity and gives you access to the enormous YouTube audience while allowing you to publish the content on your own or other platforms as well. Once you have a system setup, easy and fast to produce. Different kind of connection to audience. Hard and, potentially, expensive to produce. Requires expensive equipment and editing services. Requires you to be comfortable in front of a camera (unless you are doing screen-share only). Audio is not often used as stand-alone content, though I have seen it done. The best form of publishing audio is to start a podcast. This gives you access to the millions (and growing) of people that listen to podcasts while allowing you to publish the content on your own website. Equipment and editing is more affordable than video. An obvious one for writers, plus the most versatile modality. You can write articles, blog posts, novellas, full books, collection of short stories, white papers, studies, emails, etc. As a writer, you probably feel comfortable writing. Doesn’t offer variety outside of your books. 4. What Channel are you going to use? Whenever I’m creating Content, I’m not just thinking about what I’m creating; I’m also thinking about how I’m going to get it in front of people. Content must always have a channel. It must have a way for people to find it and consume it. If you create a blog but have no way to bring people to it, then it will sit alone and unread. If you create videos but don’t release them on YouTube, how are people going to find them? I wrote this article on my website. This is the Content. But the Channel I use to distribute it is my email list. The odds are good that you found this article because I sent you an email about it OR that somebody that is on my email list told you about it somehow. My friend wanted to start doing bag reviews so he could get free bags and maybe make a little money. He could have written blog posts for his website, but he didn’t have any traffic to his website. He also didn’t have an email list. So he started creating videos and publishing them on YouTube. People searching YouTube for bag reviews started finding him and subscribing. He’s now got a solid following on his YouTube channel. A client of mine wrote an in-depth white paper on an important subject in the Information Technology industry. He didn’t have any kind of platform of his own, but he was well connected to people across lots of different companies. He started reaching out one-by-one offering to send the white paper. He would then follow up to ask if they liked it, and if there was anyone they knew that could help get the word out about the information. He ended up being introduced to a few different associations and companies that had huge email lists in his industry, and they sent out the white paper to everyone on their lists. A friend of mine wanted to build his audience by interviewing smart people in his industry, so he started a podcast. 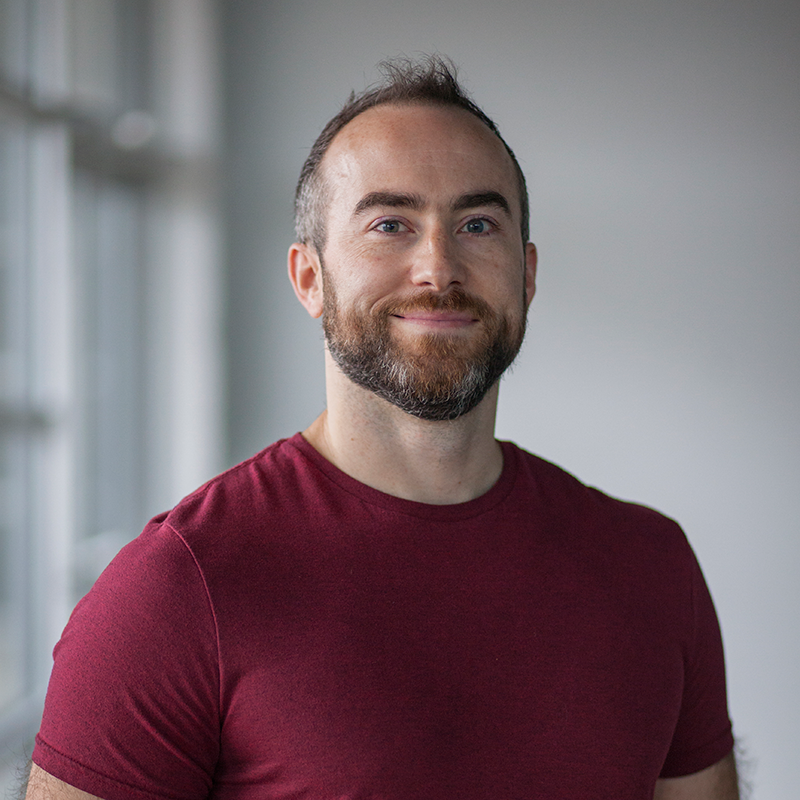 Each week, he interviews someone new and releases that on his podcast which automatically gets distributed to Apple Podcasts, Google Play, and other platforms where people find new podcasts. If you don’t combine Content with a Channel, it will remain alone and unfound. Always consider the Channel you will use to distribute your Content before you invest the time into creating it. Once you know who you are trying to reach and how they are already consuming content, it helps inform you on what type of content you are going to create and what channel you will use to release it. However, this can get extremely overwhelming if you decide to start creating three different types of content in six different channels all at once. I recommend starting with one plan and commit to it for six months. This will allow you to focus and do it well, along with giving it enough time to see if it is working for you. You can always tweak your plan later or try something completely new, but don’t try to do too much at one time or give up before it has a chance to work. If you decide to start a blog with a new article every week (Content) on Medium (Channel), then commit to that for six months. If you decide to release a bi-weekly podcast episode (Content) on Apple Podcasts, Google Play, and the other outlets (Channels), then commit to it for six months. If you decided to release daily five-minute book review videos (Content) on YouTube and your blog (Channels), then stick to it for six months. Building an author platform is never about doing “all the things.” Don’t let your fear of missing out cause you to constantly jump to new opportunities. Focus on one form of content that you can release in a good channel and do that well.